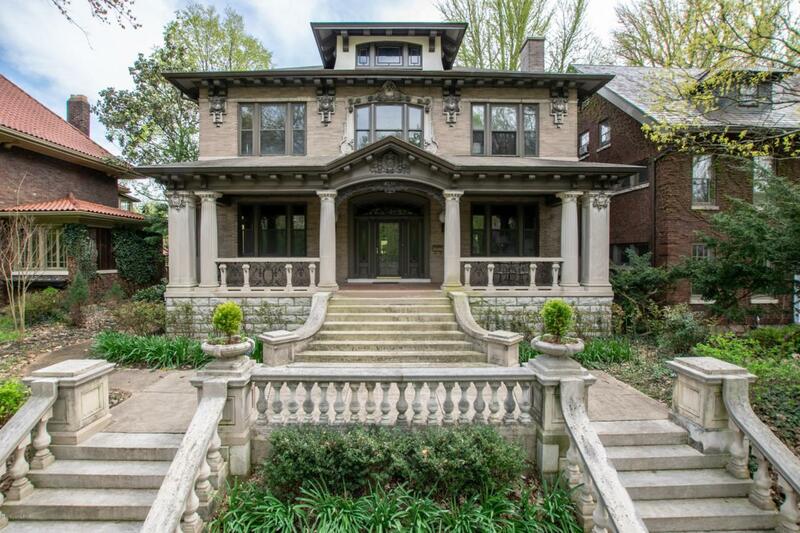 All of amazing workmanship that was customary of the fine homes built along Cherokee Park in the early 1900's is still present and beautifully preserved here. You'll find intricate inlaid herringbone hardwood floors, unique coffered ceilings, massive pocket doors, leaded glass stained windows and elaborate moldings and millwork throughout this outstanding home. You'll also find that all of the updates buyers of fine homes desire have already been put in place. They include a new kitchen with Wolf and Thermador appliances, marble countertops and custom cabinetry, as well as elegant, new baths throughout. Each and every room has been updated from floor to ceiling with a careful eye to preserving the integrity of the architecture, but creating a current feel and functionality. There arespacious closets, light-filled rooms, laundries on both the 2nd and 3rd floors, heated master bath marble floors, as well as Geothermal heat/air and Control 4 Smart Home system. The 3 car carriage house and apartment above sit at the back of the property and have also been remodeled. This prime location along Cherokee Road offers stunning views of the park and the opportunity to enjoy nature or walks to all that Bardstown Rd. has to offer. A rare opportunity to enjoy the timeless elegance of this period home and also have every comfort you've come to expect. Please check out the full list of renovations under the documents heading.